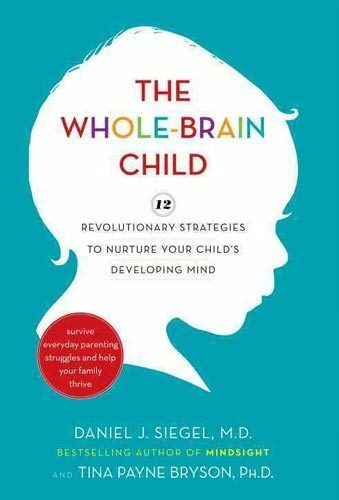 The Whole Brain Child, by Daniel J. Siegel, M.D. and Tina Payne Bryson, Ph.D., states in the subtitle that it offers twelve revolutionary strategies to nurture your child’s developing mind. This book wants to help parents understand that our children’s brains are still developing and that we can help our children learn how to handle the different experiences they encounter even as we learn how to better nurture their developing minds, too. The message of The Whole-Brain Child is that our families aren’t stuck in our current circumstances. Parents have the ability to change these circumstances by changing the way they respond and relate, and as they do so they can literally help to change their child’s brain (and their own) in the process. Many of the adoptive and foster parents that we serve and train have found The Whole-Brain Child to be incredibly helpful and relevant. As important, they have found that the insight this book offers and the strategies it suggests are wholly consistent with the parenting approach and strategies taught by Dr. Karyn Purvis, and highlighted on Empowered To Connect. We want to help make the information in this book accessible to as many parents as possible, so we have provided below links to parent discussion guides by chapter as well as links to blog posts (written by Annie McClellan) detailing each of the 12 strategies in the book. We hope you are able to use this material to learn better how to parent your child with his or her brain in mind, and in the process improve your relationship with your child as you continue to faithfully walk this parenting journey.